I’m very slowly getting the house decorated for Fall. I have tried to decorate the house differently this year, so it takes me much longer. I need to arrange things and let it sit to decide if I like it and if it actually looks ok too. I have learned it doesn’t come naturally to me, most of the time. But, then I get hit with that moment of, “Oh, I know what I can put there!” And, that is the best!! That happened with our dining room table this year. 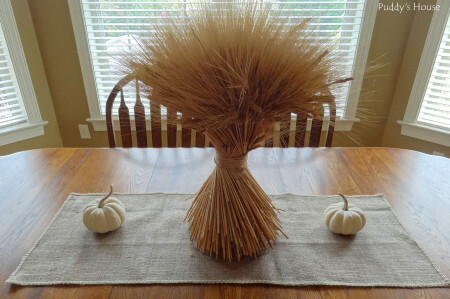 I originally bought a bunch of wheat at the thrift shop for $2 and I just plopped it on the dining room table. 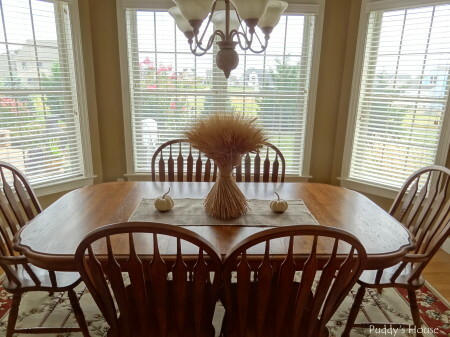 Bob thought it was great…he likes the simple décor. I said I wasn’t done. But, as it sat, I realized it didn’t need to be too “done”. That is when the idea hit me. 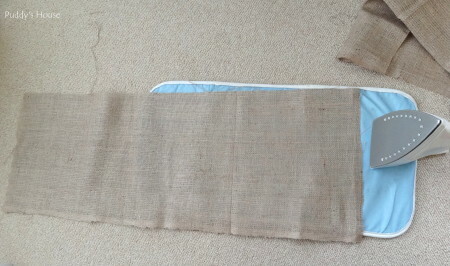 I remembered I had a yard of burlap that I got at Haven from Online Fabric Store. 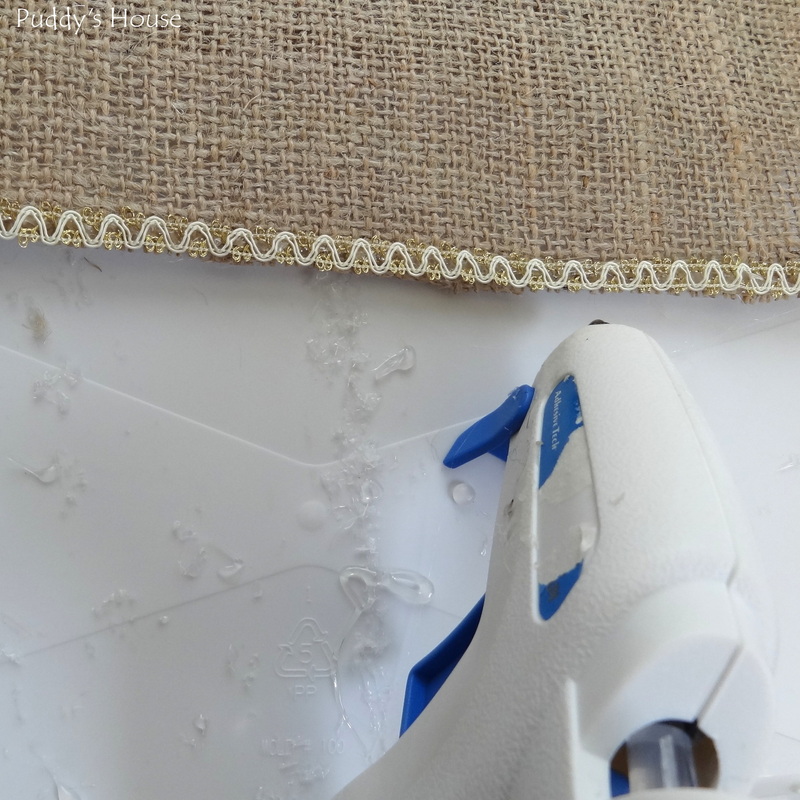 I cut the burlap to a size that would work for my table, and got out the iron to smooth it out. 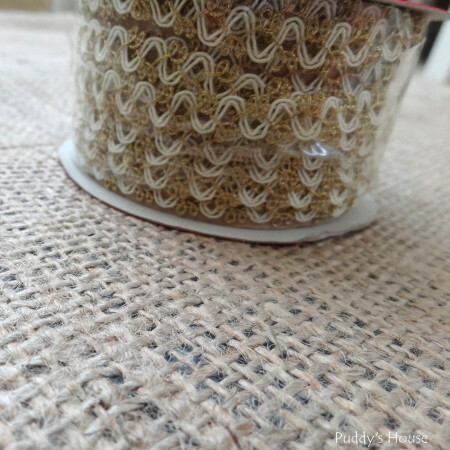 Then, I looked into my stash of craft supplies and found some ribbon. 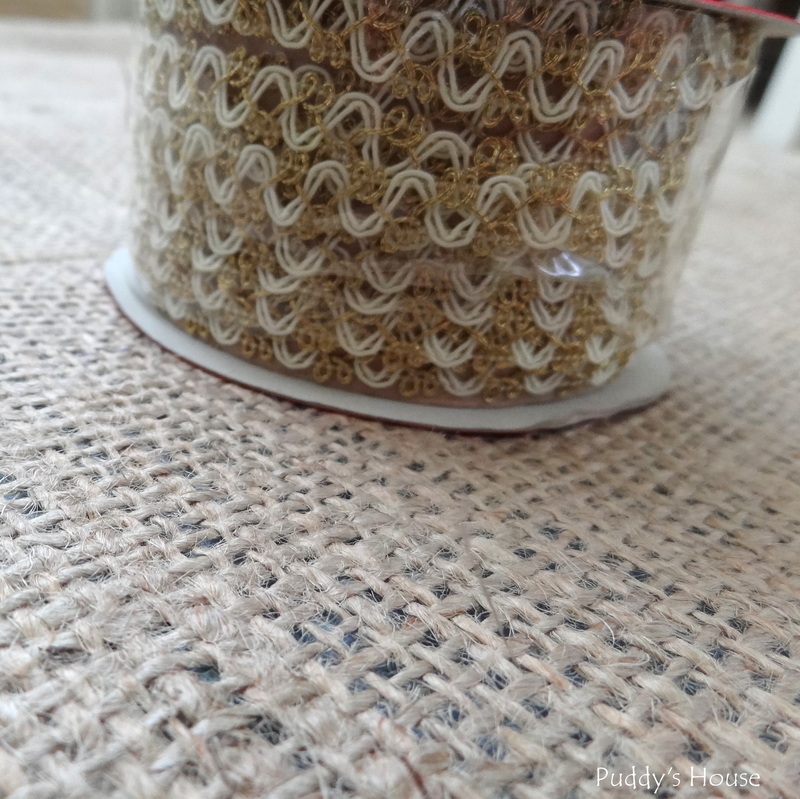 I’m pretty sure that I bought it from after- Christmas clearance last year, but I liked the texture contrast with the burlap. 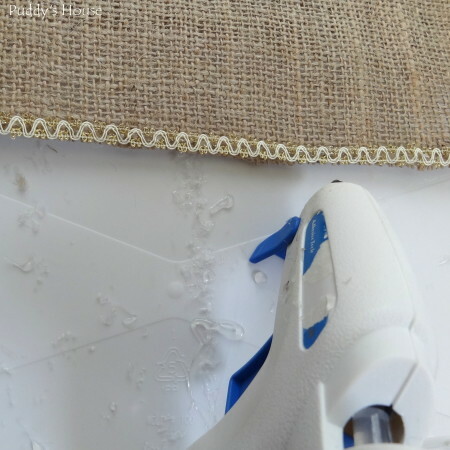 I knew sewing was out of the question with the holes in the burlap and the ribbon, so I got out my trusty glue gun and got to work attaching the ribbon to the burlap edge. 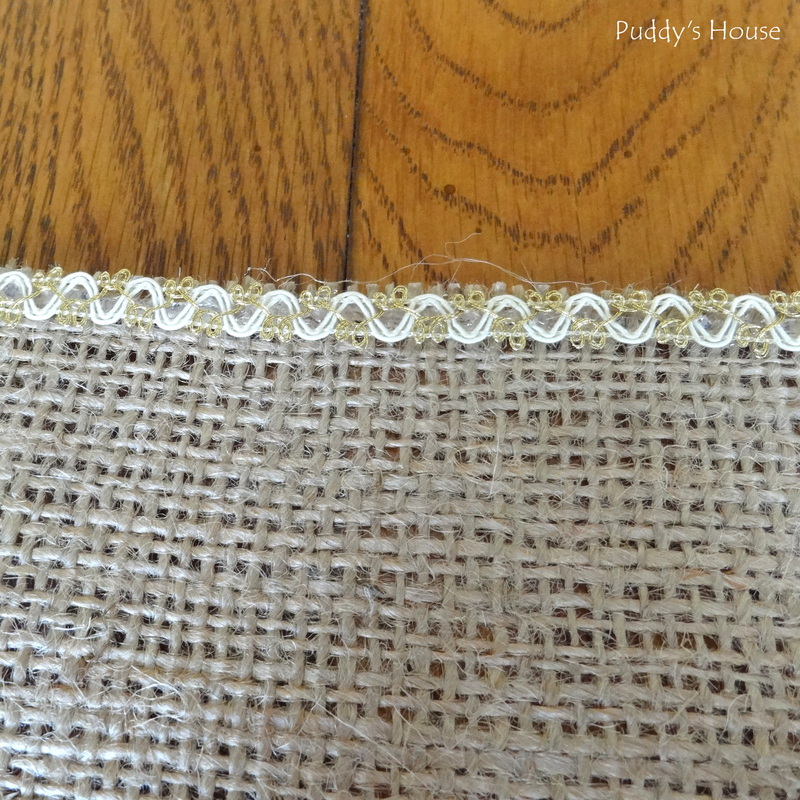 I used one continuous strand of ribbon and just overlapped at the corners. 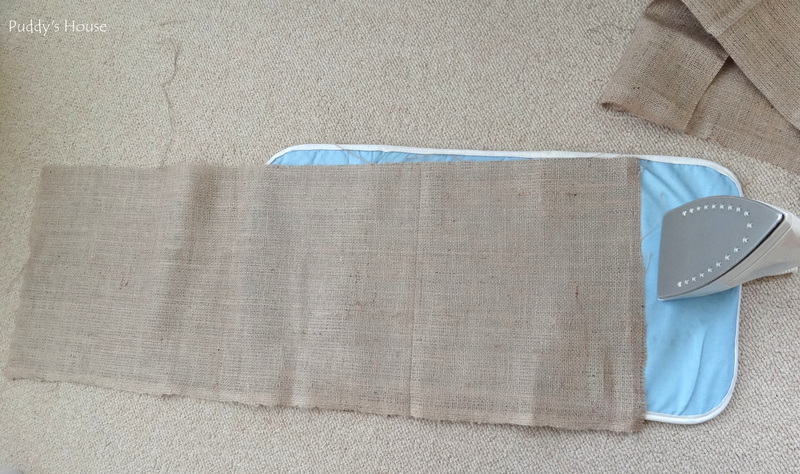 The roll of ribbon was just enough to go the whole way around…I had about 4-5 inches to spare. And, that was it. I took the runner out to my dining room to finish decorating. 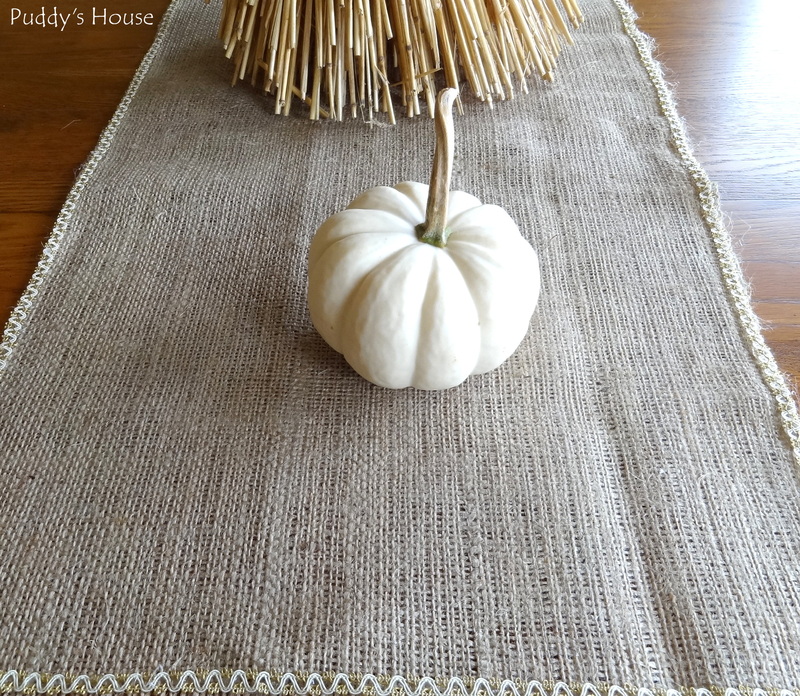 It certainly didn’t take me long to make the table runner and even less time to place the bunch of wheat and the two little white pumpkins. I just love the simplicity and texture. 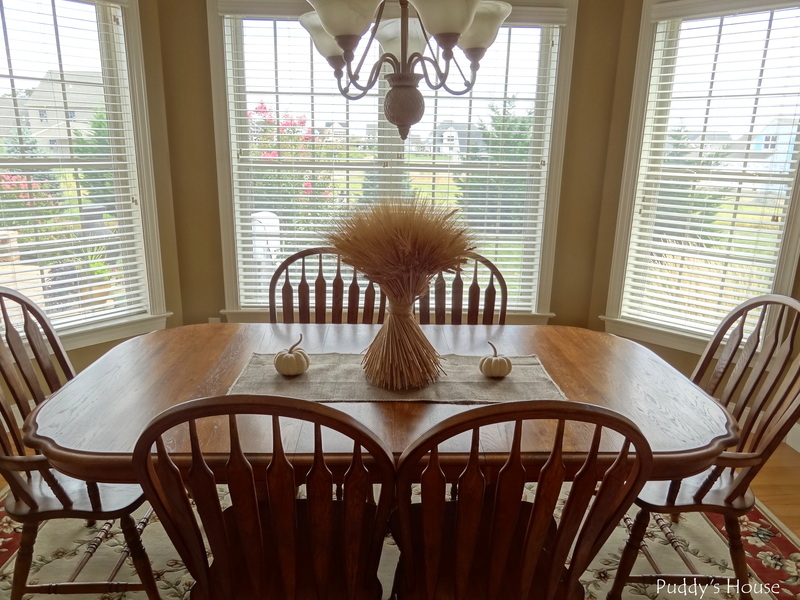 And, with all the windows and the view of our landscaping out our dining room, the table certainly doesn’t need to be overdone. 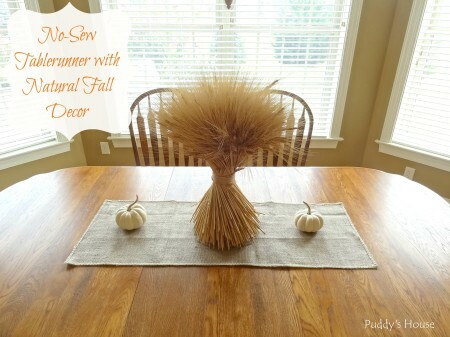 How do you decorate for Fall, do you keep it simple, or do you prefer a more elaborate display? Any quick and easy projects to share? I’d love some more ideas to help inspire me to finish my Fall decorating. Great job Leslie. 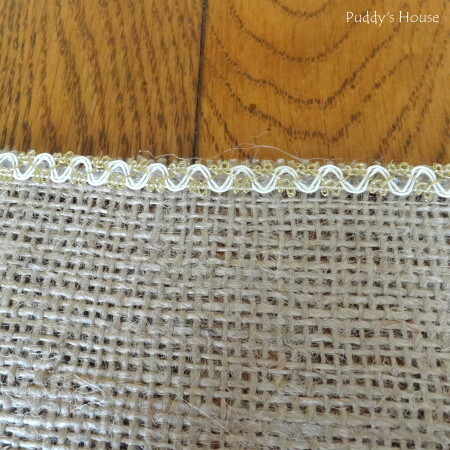 I love the burlap and wheat!! Looks great!! I love white pumpkins for fall decor! Looks great – love the burlap, wheat, and white pumpkins!